How to crop space after applying drop shadow? In Inkscape I have drawn a square and then applied Drop Shadow filter to it. How could I please get rid of the appeared top and left space? I need to have the top-left corner of the yellow square at the point 0, 0 - so that I could resize the document size to just the square and the shadow (then I would export it as bitmap(s) and use in my app). In Gimp I would just apply Image - Autocrop, but how to do it in Inkscape? 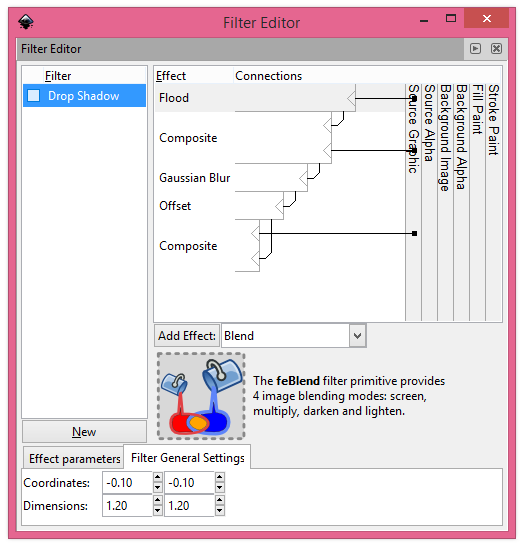 After applying the drop shadow to the rectangle, go to filter general settings in the filter editor dialog. Change the values for co-ordinates x & y which displaces the top left origin point of the rectangle. Similarly adjust the dimensions correspondingly to retain the same width & height for the shadow. The values specified in the image is the default value. You may need to vary those values to get the required origin point for selection. Not the answer you're looking for? Browse other questions tagged inkscape crop shadows drop-shadow or ask your own question. How to create the drop shadow “We are Mozilla” effect? 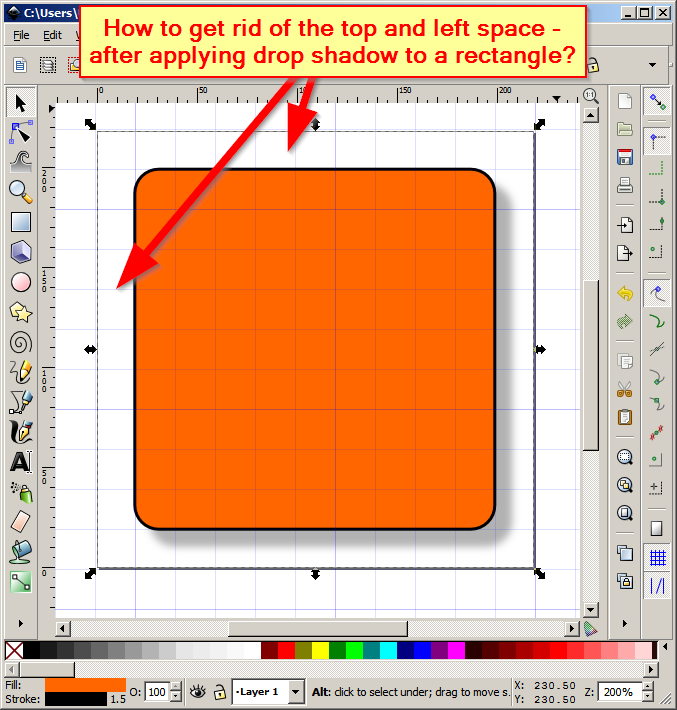 Inkscape: Dropped shadows are always cut off. How to prevent this? How to Export Circular Animations as Bitmap Images in Inkscape? What are the specs for material design icon? How to add drop shadow to a picture via CLI?